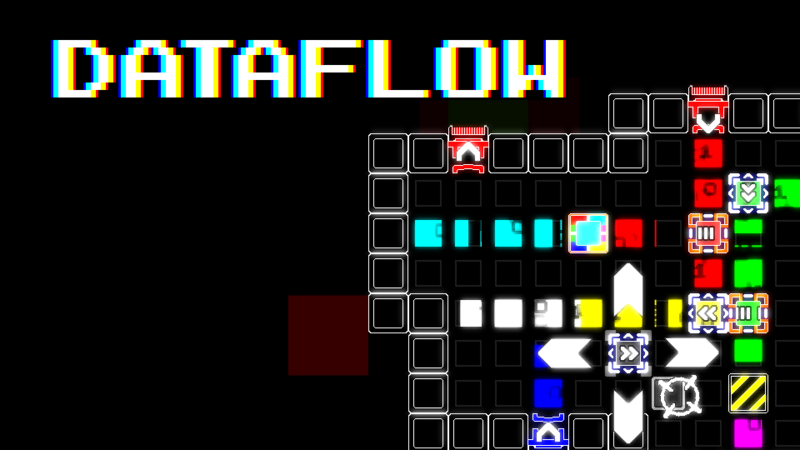 Dataflow is a hacking puzzle game with thousands of procedurally generated stages. You must combine colored flows on a grid and redirect them to the respective receivers. Some colors mix together and some don't. You'll have to find creative ways to solve the stages using a limited amount of coins to buy a variety of modules, each one with it's own functions. The game has a Classic Mode with handcrafted stages and a Random Mode with thousands of procedurally generated ones. You can type in specific seeds to generate unique stages and even share those with friends to challenge them!